Artistic, innovative design to make your staircase the center piece of your home. 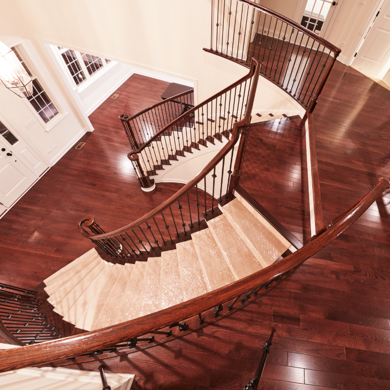 We want your staircase to be the centerpiece of your home. 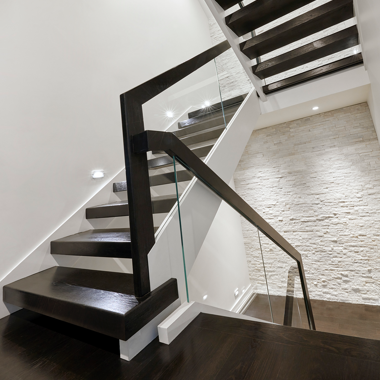 Without question, a staircase is one of the most visible features in a new or newly renovated home. We offer pre-assembled options for builders and homeowners. We manufacture basic carpet grade stairs to prefabricated oak box flight stairs ready for install. Along with the prefabricated stairs, we ship prefabricated rails ready to install by RNF or your carpenter contractor. At RNF Stairs and Rails, Inc. we always strive for perfection with on-time deliveries and project completion dates (within budget) while maintaining quality workmanship. You can be assured that our teams of highly skilled and dedicated carpenters will perform to your expectations the first time, every time. At RNF quality is our #1 goal and a promise to your organization. "I have worked with Bob and his staff at RNF Stairs & Rails for several years, and he has always delivered a beautiful finished product at a reasonable price. He has produced both traditional and contemporary stairs for my projects. The attention to detail is evident. His installers are great at both stairs and interior trim. RNF has been an integral part of my success as an Architect/ Builder, and I give them my highest recommendation." 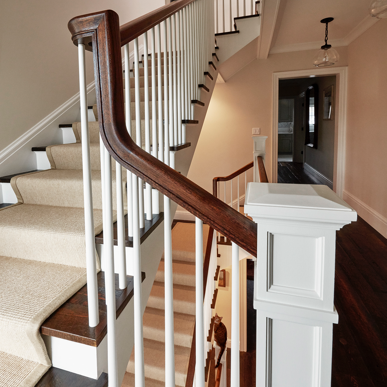 "From the time of signing a contract with Bob, time is taken to ensure that the right stair and rails selection was what we had exactly wanted to the wood species, design, and layout. 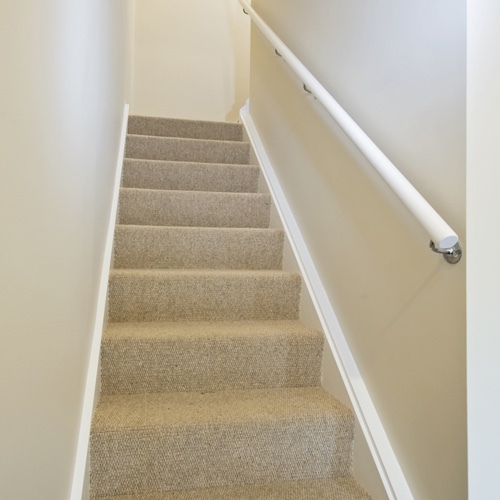 RNF was in constant communication regarding scheduling and any assistance in coordinating with our carpentry contractor to make certain our stairs are built right. Not to mention, RNF does an outstanding job in finish carpentry from baseboards and doors to custom built-ins. His crew is clean and conscientious with an eye for detail. 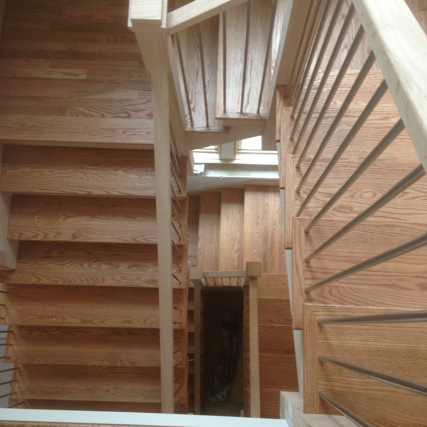 Overall, Bob’s stairs are second to none and will the only stair contractor we use." “Building a home is not easy. It can be crazy. Nerve wracking. Choosing the correct trade partner makes it that much easier. With that said, I have had the pleasure of working directly with RNF Stairs and Rails for nearly three years. The customer service and product delivered are second to none. Because of this the entire experience has been that much easier”. "We have worked with RNF Stairs and Rails many times and appreciate the high-level of craftsmanship and professionalism they bring to each project. They are flexible and accommodating in the design process and work hard to ensure that homeowner’s expectations are exceeded in the finished product. 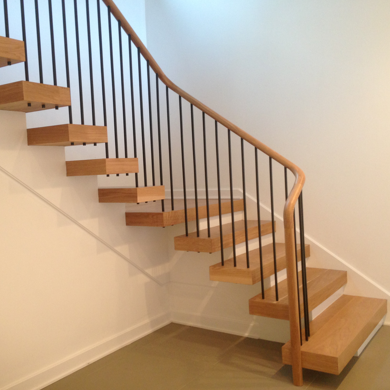 We would absolutely recommend RNF for your next stair project."